Fed. 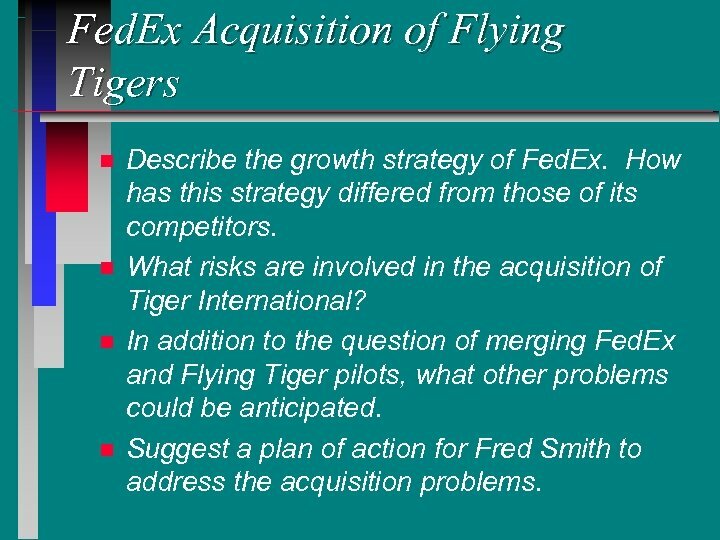 Ex Acquisition of Flying Tigers n n Describe the growth strategy of Fed. Ex. 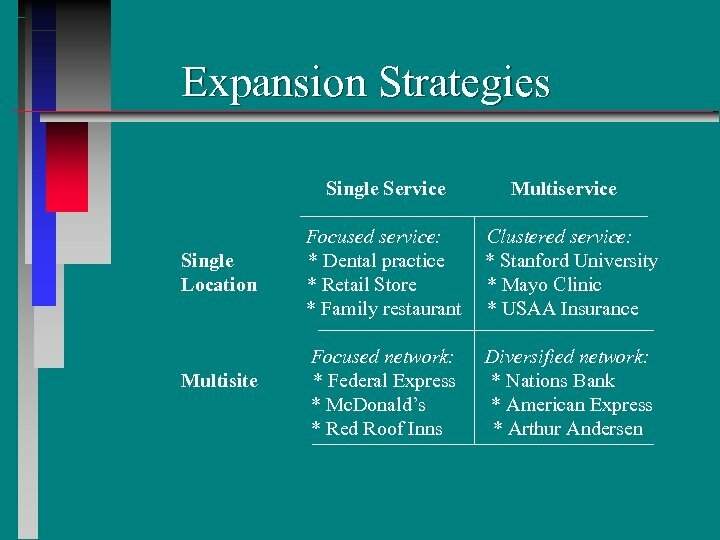 How has this strategy differed from those of its competitors. 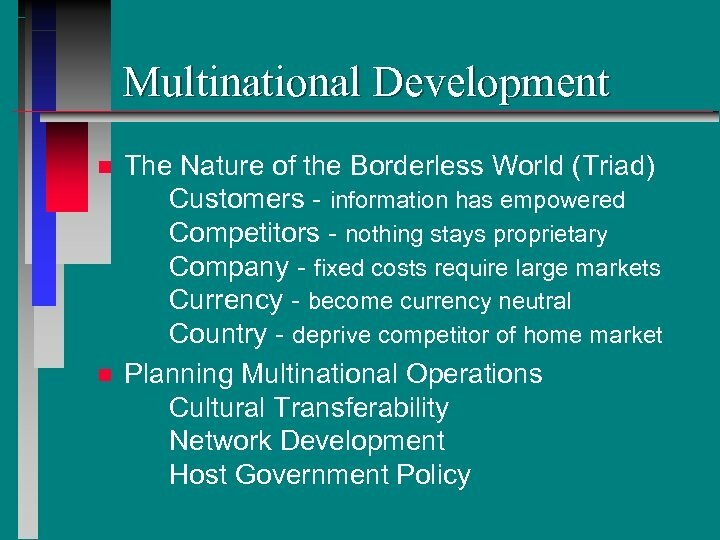 What risks are involved in the acquisition of Tiger International? In addition to the question of merging Fed. Ex and Flying Tiger pilots, what other problems could be anticipated. 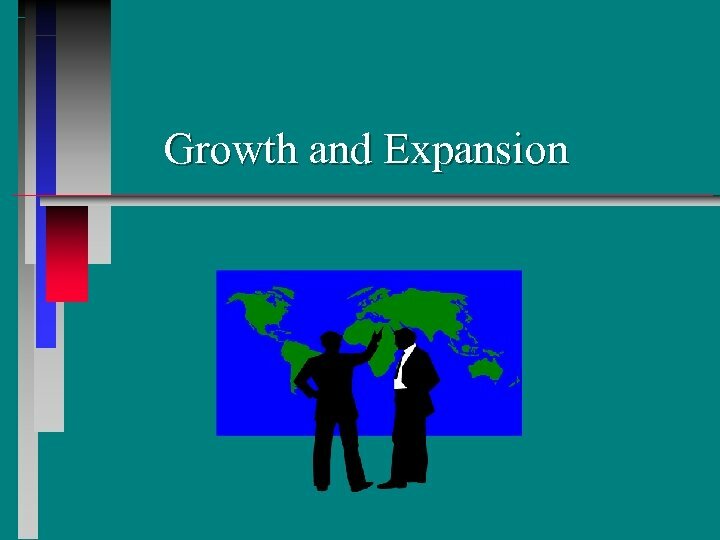 Suggest a plan of action for Fred Smith to address the acquisition problems.